National University of Singapore (NUS) Exclusive Promotions for students and staff! 7 Days Money-Back Guarantee for iFi Audio and Fischer Audio products. Terms and Conditions apply. FREE Delivery for purchases of $100 and above in a single receipt. Get 0% interest Instalment Plan with Citibank Credit Cards for purchases of $500 and above in a single receipt. Payable within six months or one year. Simply "LIKE" our Stereo Facebook Page to avail all EXCLUSIVE PROMOTIONS! April promotion updated! Special promotion for iFi Audio now up! 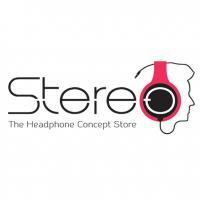 Stereo March 2014 promotions updated! Stereo May 2014 promotions updated! October 2014 promotions are out now! Check out the exciting and tempting November promotions now! Ho! Ho! Ho! Merry Christmas!!! Your December promotion wishlist is now up on this thread! Happy New Year, everyone!!! May it be brighter with our January 2015 promotions. Check them out now! Check out our March 2015 Promotions!